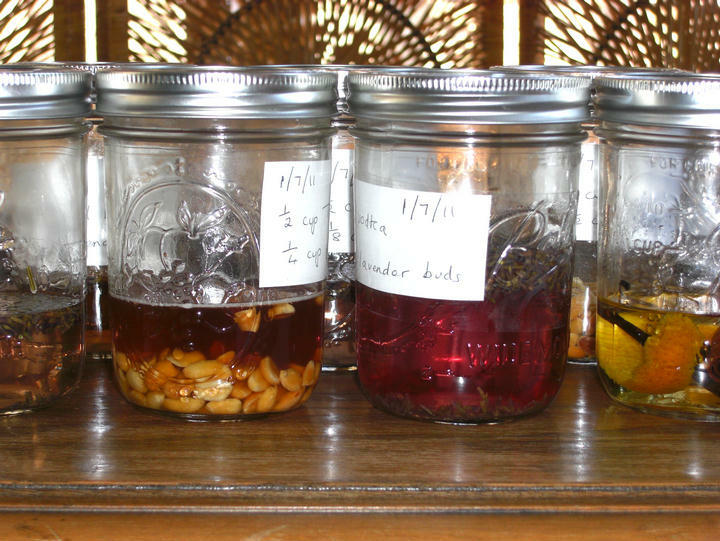 You might think that to create a liquor infusion you simply grab your booze and toss in whatever you want to flavor it with. Well, you’d pretty much be right. For all the varieties of flavored alcohol that are commercially available these days there are still good reasons to make your own. Generally you’ll be able to save a buck or two with your home “brew”. You have total quality control, by which I mean you can adapt, adjust, strengthen, weaken, sweeten or acidify your mix to suit your particular tastes and needs. There will be flavors not found on the liquor store shelves. For instance, I recently needed a peanut butter flavored liqueur. There is one brand that I know of, Castries, but it’s not available in my locale. So I infused dry roasted, unsalted peanuts into Tuaca and ended up with the perfect potion for a really yummy Peanut Butter Cup Cocktail. If you need more encouragement than that to get started then I have to tell you, infusing liquor is really fun. Sure you’ll make some mistakes but I haven’t had any disasters that couldn’t be salvaged, if only by using the liquor in cooking. 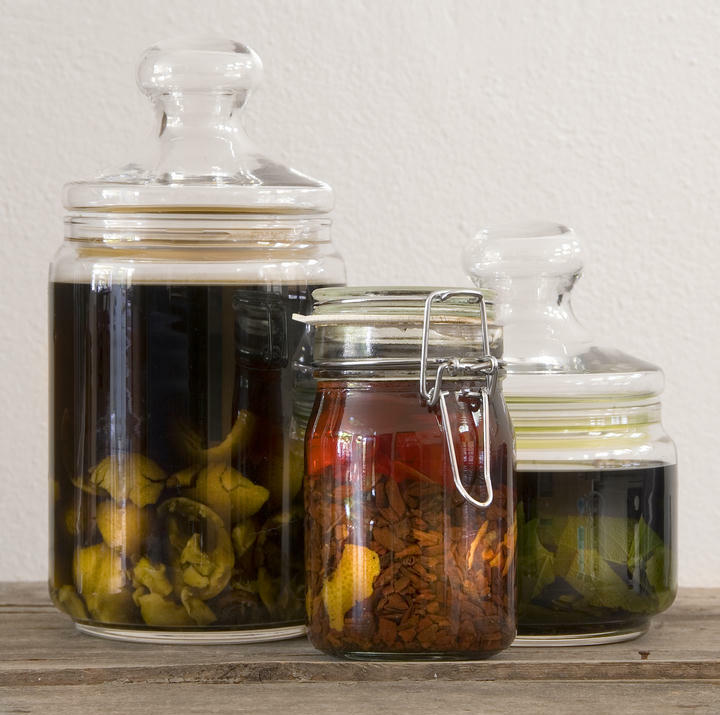 OK, let’s get you started…..
Stock up on a few mason jars; they’re perfect for storing and viewing your infusion, and glass is completely non-reactive (acidic foods can react negatively with metal, for instance, but not with glass) and will not absorb flavors. So you can wash out your jars and use them again and again and again. Start with small amounts. It’s a lot less painful to toss away 1/2 cup tequila because your blood sausage infusion was gag-awful than to have to throw away a whole bottle. I recommend never using more than 1 cup of liquid for a first-time infusion. Of course, once you’ve got the mix right you can make larger quantities. The “small” rule also applies to the products you will be using to flavor your liquor. 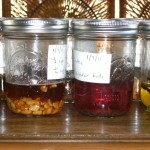 Keep in mind that infusions take time to develop; usually from two or three days to a couple of weeks. It’s better to add a few more peanuts to the Tuaca to strengthen the flavor than to have to dilute the taste by adding more Tuaca. Use decent quality spirits. Not top shelf, that’s a waste, but the cheap brands of liquor often seem to give infusions a slightly medicinal taste. 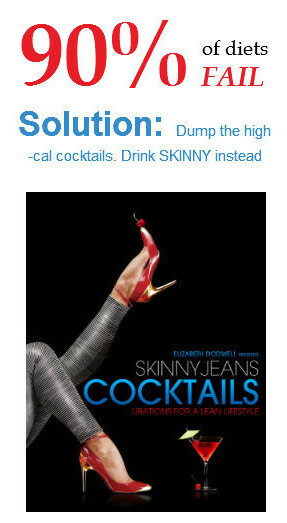 Start with vodka. It’s a neutral spirit and will pretty much take on the flavor of whatever you put in it. Add peanuts and the vodka will taste just like peanuts (with a kick), mint leaves and it will taste minty, orange peel and you’ll almost think it’s orange juice (OK, so I’m exaggerating a bit about the orange). Once you’ve got the hang of this, then move on to more complex spirit and flavor combinations. Now your only concern is whether to enjoy the infusion as it is or to get creative and use it in a cocktail. Fruits – Almost any fruit works well. Use ripe fruit. Berries can be left whole, larger fruits should be cut up. There’s no need to peel most fruits but do remove flesh that has bruised or turned brown. Citrus fruits – Slice or just use the peel or zest. Be careful if you include the pith (the white underside of the peel). After a few days it can begin to give the liquor a bitter “pithy” taste. Vegetables – Cucumber in vodka makes a lovely infusion. You might also use peppers (jalapeno, habanero, etc,), beets, tomatoes, garlic, horseradish, even carrots. Herbs – Mint, basil, thyme, lavender, rosemary….. Basically, if you can cook with it, you can infuse it. And include the stems. Spices – As with herbs, spices infuse really well. Try peppercorns, vanilla (split the pod), allspice, cinnamon, nutmeg, mustard seed, even saffron if you can afford it. Tea and coffee beans – There’s a huge variety of black teas, herbal teas and coffee to choose from. Nuts – For most nuts get dry-roast and unsalted. Peanuts, of course, are great but so are pistachios and hazelnuts. The exception to dry-roast is fresh green or black walnuts to create one of my favorite liqueurs, Nocino. Meats – Yes, you can flavor your booze with bacon, chorizo or even hot dogs. It’s a little more complex than other infusions and I’ll cover that in more detail soon. Chocolate – Oh, yeah! You can make your own chocolate spirits with cocoa powder. Recipe will be posted soon. Distilled beverages bottled with added sugar and added flavorings, such as Grand Marnier, Frangelico, and American schnapps, are liqueurs. In common usage, the distinction between spirits and liqueurs is widely unknown or ignored; consequently, all alcoholic beverages other than beer and wine are generally referred to as spirits. *:;.